Note: Today’s workout comes from our friend CJ Martin, owner of CrossFit Invictus. How many Athletes can complete todays workout at the “Rx” level in less than 15:00? Congratulations to JJ who was recognized as Athlete Of The Week at CrossFit Amundson. 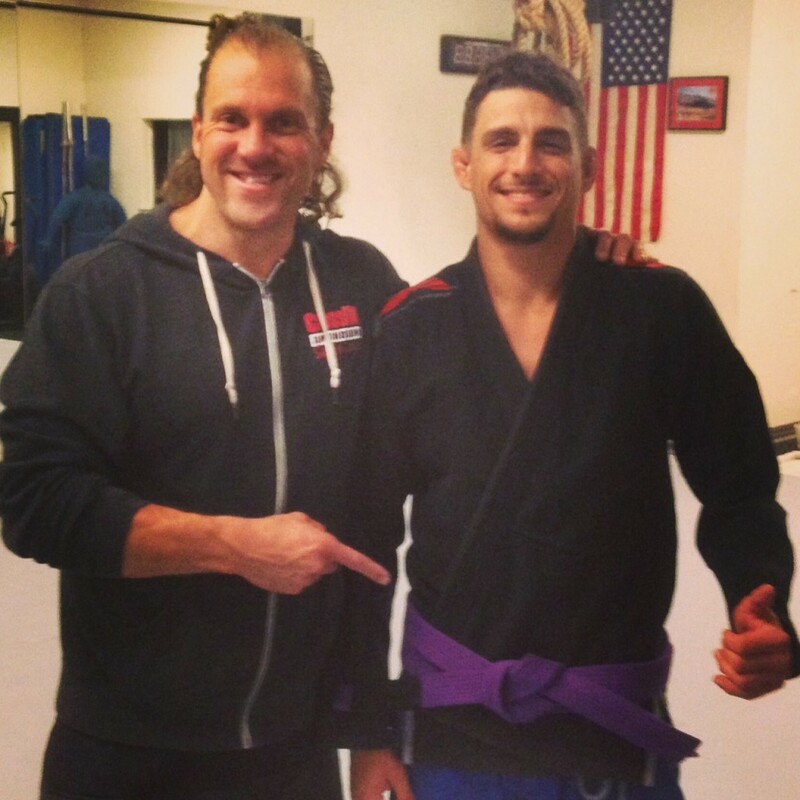 JJ was recently awarded his Brazilian Jiu Jitsu purple belt by Coach Garth Taylor. JJ has been an instrumental part of the CrossFit Amundson and Kaijin Mixed Martial Arts Brazilian Jiu Jitsu program at our gym. Since the first Jiu Jitsu class at our gym, JJ has been extremely kind, helpful, and encouraging of our Athletes, and has been eager to share his wealth of knowledge. JJ currently leads the instruction on Thursday nights at our Krav Maga studio. JJ is an awesome instructor whose love for fitness and Jiu Jitsu is evident from the moment you meet him. Thank you JJ for being such a great part of our gym family, and congratulations on your well deserved promotion!